Ka‘iana‘ahu‘ula was the first Hawaiian chief to travel to foreign countries; he went to Canton, China in 1787 returning in 1788. In November 1823, Kamehameha II (Liholiho) and Queen Kamāmalu were the first Ali‘i to travel to England. They commissioned the British whaling ship L’Aigle (French for “the Eagle”) to carry them to London to gain firsthand experience in European ways and to seek an audience with King George IV to negotiate an alliance with England. Going along were High Chief Boki and wife High Chiefess Liliha, and other chiefs and retainers. Liholiho and Boki brought with them several feather cloaks and capes, visual symbols of Hawaiian royalty. Kamāmalu and Liliha took with them fine kapa clothing suitable for their rank. In February 1824, along the way, after rounding Cape Horn, they arrived at Rio de Janeiro in newly-independent Brazil where they met Emperor Pedro I. The Emperor gave Kamehameha II a ceremonial sword, and in return was presented with a native Hawaiian feather cloak made from rare tropical bird feathers. L’Aigle arrived on May 17, 1824 in Portsmouth, and the next day the entourage moved into the Caledonian Hotel in London. Foreign Office Secretary George Canning appointed Frederick Gerald Byng to supervise their visit. In London, the royal party was fitted with the latest fashion and they toured London, visiting Westminster Abbey, attended opera and ballet at Royal Opera House in Covent Garden, and the Theatre Royal in Drury Lane. On May 28 a reception with 200 guests, including several Dukes, was held in their honor. Virtually the entire royal party developed measles within weeks of arrival, 7 to 10 days after visiting the Royal Military Asylum housing hundreds of soldiers’ children. Kamāmalu (aged 22) died on July 8, 1824. The grief-stricken Kamehameha II (age 27) died six days later on July 14, 1824. Prior to his death he asked to return and be buried in Hawai‘i. Boki took over leadership of the delegation and finally did have an audience with King George IV. The Blonde arrived back in Honolulu on May 6, 1825. Kalanimōkū (who was not on the trip) had been notified of the deaths in a letter, so Hawaiian royalty gathered at his house where the bodies were moved for the funeral. Liholiho and Kamāmalu were buried on the grounds of the ʻIolani Palace in a coral house meant to be the Hawaiian version of the tombs Liholiho had seen in London. They were eventually moved to Mauna ‘Ala, the Royal Mausoleum. Before 1848 measles was unknown in Hawaii. Several epidemics struck Hawaiʻi in late-1848, beginning with measles and whooping cough, then the flu. 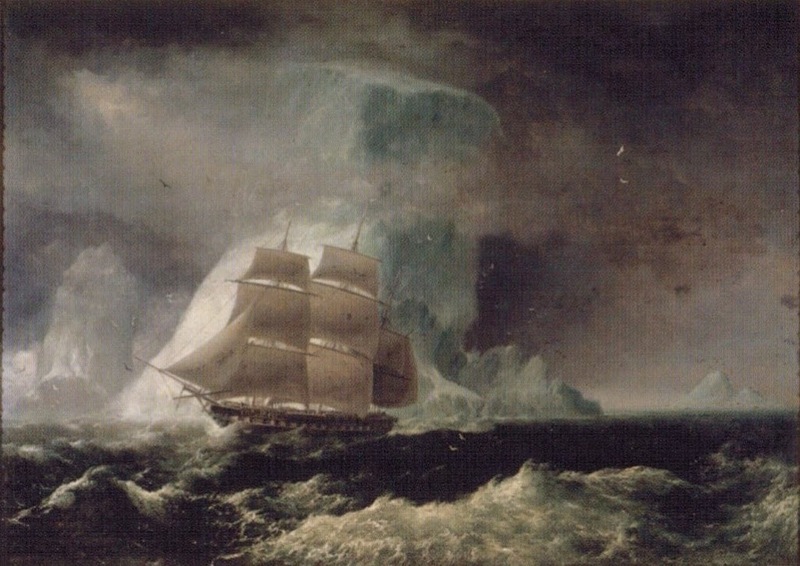 The image shows the HMS Blonde, drawn by Robert Dampier in 1825. In addition, I have included some images of Liholiho and Kamāmalu (and others in their party) while they were in London in 1824 in a folder of like name in the Photos section on my Facebook page.